Were gonna be popping lots of champagne bottles this year and as many other great bottles as we can like the 1995 Domaine Jean-Louis Chave Hermitage Rouge Cuvee Cathelin which at age 49.9 has never passed my lips. So as soon as I received this wine I immediately put this event on the calendar of events as I don’t want to leave this earth without experiencing the other worldly wines of the Northern Rhone. I will never forget the vintage white Rhone tasting that we did years ago featuring the white wines of Jean Louis Chave. These are some of the greatest old white wines that I had ever tasted from anywhere. The 1983 and 1982 Hermitage whites from Chave were the best wines on the table and to think they were almost 30 years old at that time. 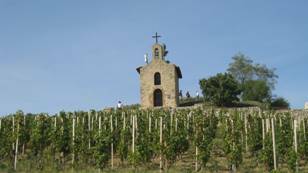 The wines of the Northern Rhone have been coveted by collectors and connoisseurs of fine wine as far back as our early days of our country as Thomas Jefferson, a noted wine expert of his day, raved about the wine from this region. The granite hills of Hermitage rise above the Rhone at Tain l'Hermitage where the river bends sharply to the east before resuming a southward flow. This gives the vineyards a direct southern exposure. Vines have been grown here since Roman times, and Pliney wrote favorably about the wines of the region. The locals claim that vines were first planted here by Phocaean Greeks around 500 BC. Although the evidence is not conclusive, Greek coins and amphorae dating back to 500 BC have been found in the area. 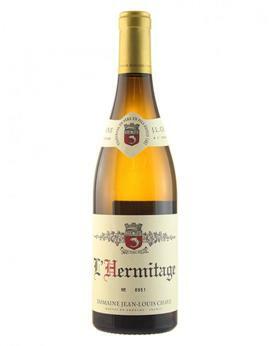 Some experts feel that the greatest maker of Hermitage is the firm of Jean-Louis Chave. The Chave family has been growing grapes at Hermitage since 1481. They have a reputation for making good wine in poor years, and excellent wine in good ones. They use low yielding vines (average age 60 years) and a late harvest to produce the ripest fruit, and there is virtually no intervention in the winemaking and bottling with no filtration. There are a dozen or so named vineyards in Hermitage, and Chave owns vines in most of them. They vinify each separately, which allows them to blend for greater complexity before bottling. 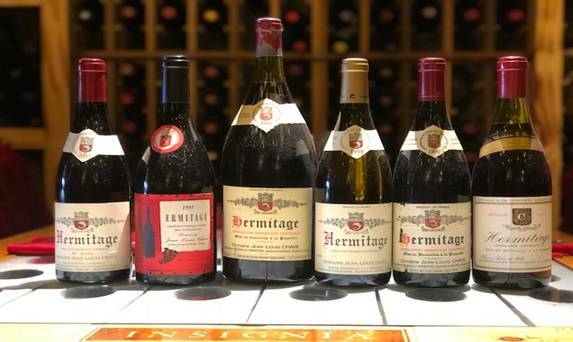 Join us as we experience the rarest wine that Jean Louis Chave makes the Cuvee Cathelin along with several other great vintage of Hermitage and a 20+ year old white Hermitage. There are only 14 spaces available for this tasting and the fee for this event which includes dinner is $595 + tax for reservations call 954-523-9463 or e-mail andy@winewatch.com. The oldest bottle of Chave on the table but this is not Jean Louis Chave, the bottle just says Chave Pere et Fils? I have never tasted this wine and after receiving a bottle in a collection we acquired it was put up for sale for $3000 on our web page. The next day two people inquired about the wine and its providence. After seeing the immediate demand for this wine at such a price I immediately pulled it off the site and set a date for this tasting. I would rather drink a wine like this with friends than sell it! Located on the land of Beaume and Péléat, my Hermitage vines, dutifully and lovingly tended, are over 40 years old and are rooted in a soil of loess. South-West facing, the plots enjoy abundant sunshine throughout the vegetative cycle, thus providing grapes with the raw material I require to bottle the much sought-after DNA of this mythical Hermitage hillside. There are only 14 spaces for this event. The fee for this tasting is $595 + tax per person and this includes dinner. For reservations call 954-523-9463 or e-mail andy@winewatch.com. The negociant project of Jean Louis Chave Selection started in the mid 1990’s. The idea behind this project is simple. 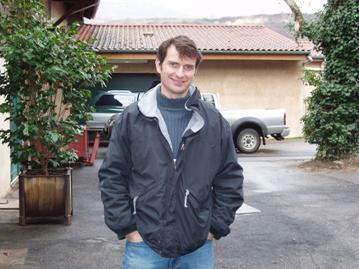 The goal was to search out small wineries with values reflecting those which Jean-Louis requires for making his own wine. Jean-Louis works with wineries who work in an organic fashion, produce low yields, and are interested in making a wine expressive of the terroir specific to their soil. In order to ensure the quality of the wines, Jean-Louis is in contact with the wineries throughout the growing season, during the harvest, and through the vinification. After being vinified at their respective domaines, the elevage continues in the cellar of JL Chave Sélection in Mauves. Each cuvée from the domaines is aged separately in oak barrels or in cement tanks with minimal amounts of SO2 for a period of 12 to 18 months. An elevage specially adapted to the needs of each cuvée allows the qualities and characteristics of each terroir to be strengthened. Once all the elements are well defined, the blending process can begin. The goal is to produce a complementary blend without sacrificing the diversity of each cuvée. "One of my favorite true and authentic vignerons to visit is the Chave family, located in the tiny, one-horse village of Mauves, just south of Tournon. The son, Jean-Louis, is taking over the reins more and more, but his father, Gerard, is still involved even though he is officially retired. As always, these wines performed brilliantly. Readers should keep in mind that the reviews of the 2007 white Hermitage and 2007 red Hermitage are a matter of extrapolating from tasting all the separate vineyards that go into these wines. That said, the Chaves appear to be ratcheting up their quality level because of a Draconian selection process in the vineyard as well as in the winery. The Chave estate wines’ finest value is St.-Joseph (5,000 bottles produced in each vintage), which comes from hillside vines planted in pure schist just outside their home village of Mauves."